We are located in ZHANGJIAGANG CITY near SHANGHAI with beautiful scenery and convenient transportation access. We have a professional foreign trade team, the team has a professional foreign trade talent for foreign customers to provide excellent service experience. We are dedicated to strict quality control and thoughtful customer service, our experienced staff members are always available to discuss your requirements and ensure to satisfy all customers. 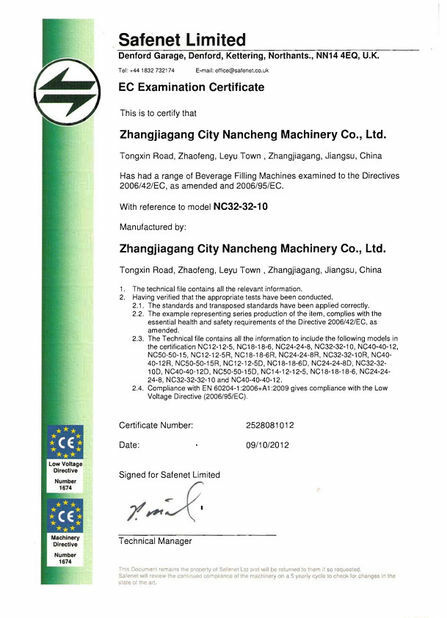 We have obtained CE certificate. Except for selling well in all cities and provinces around China, our products are also exported to clients in such countries and regions as Eastern Europe, Africa, Eastern Asia, South Asia etc. Every year we will attend the exhibition, like Russia, Malaysia, Dubai, Mexico, Venezuela, Saudi Arabia and Algeria and etc, that time we always visit some local old customers and we are sure that we can offer good services for you. We supply good service, good quality and good price and we will make unremitting efforts to provide customers with satisfied products and service. If you have any need of beverage machinery, welcome to contact with us. Hope to have opportunities to cooperate with you. 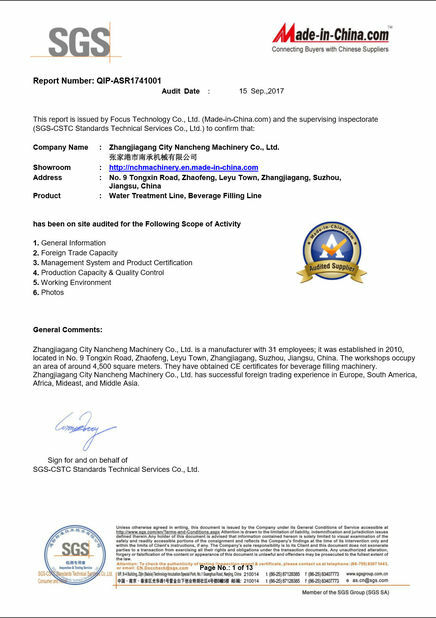 ZhangJiaGang NanCheng Machinery Co., Ltd has more than 15 years of experience in foreign trade, a professional foreign trade team, the team has a professional foreign trade talent for foreign customers to provide excellent service experience. At the same time, our factory also has a core team, specializing in machine design, manufacturing and maintenance, a professional engineer for customers to solve the professional problems on the machine. Is such a team, from top to bottom convergence, make every effort to do our work and services for the customer. We usually take part in the annual machine exhibitions, Trade Exhibition like DuBai Trade Exhibition, Egypt Trade Exhibition, and Jordan Trade Exhibition and so on. Shanghai Exhibition, GuangZhou Exhibition and so on. We treated a lot of customer from all over the world. They are not only our customers but also our friends.